I am participating for the second time to the French Foodista Challenge and Asian kitchen is the challenge of this edition. Visit the French version of this post if you want to know more about the challenge and the participants. I am usually only blogging about French food, but I have to admit that I quite enjoy eating chinese food. Especially since I lived in Beijing for 6 months during my studies. I loved to eat these Chinese dumpling in the campus of 北大, Běidà and I hope you will enjoy them too. Chop finely chinese cabbage and leeks and wash.
Peel and dice carrots. 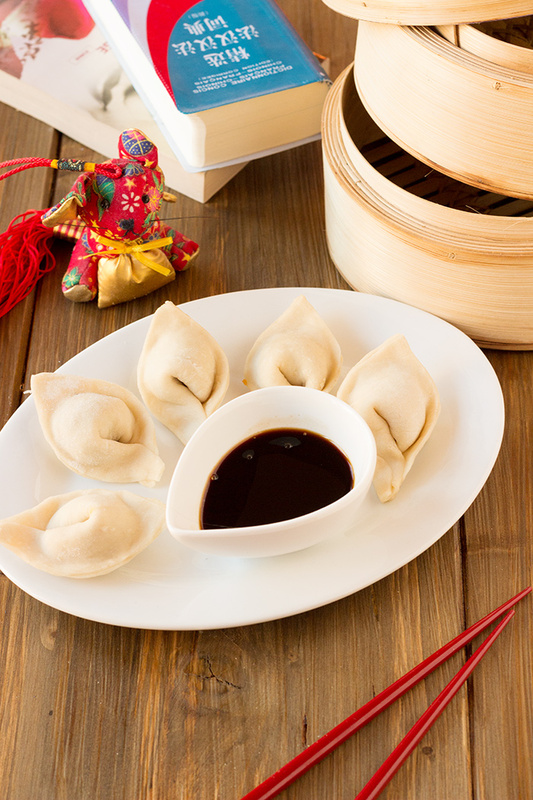 Do not forget that every ingredient has to be cut finely in order to fit in the dumplings. Wash and slice fresh onions and garlic clove. 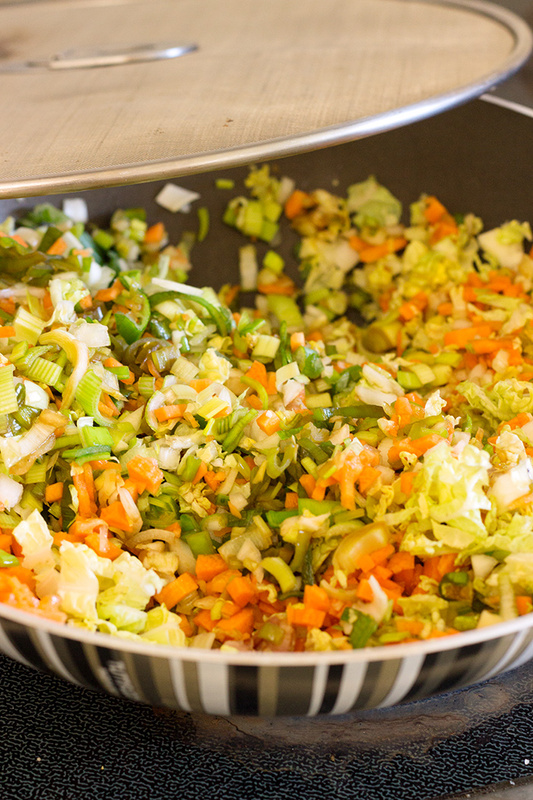 Add all vegetables as well as pancetta in a large wok. Add fresh ginger. Season with salt, pepper, soya sauce and sesam oil. Leave to cook for 1 hour or until carrots are ready. Reserve. Make a hole in flour. Add boiling water. 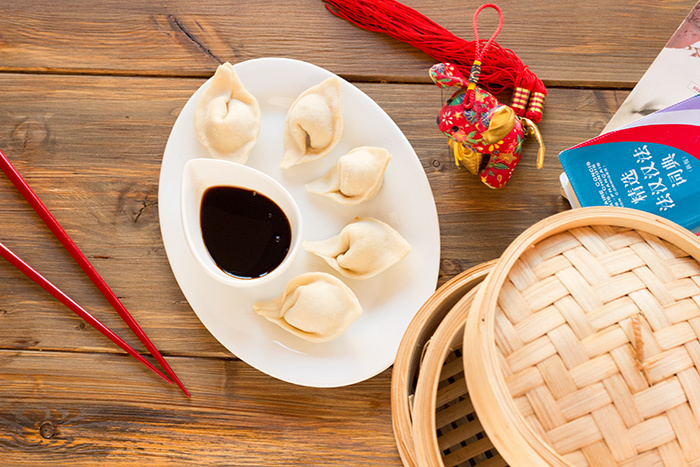 Begin to mix with chopsticks and finish with your hands to make a ball. Do not overwork the dough. Cover with cling film and place in your fridge for 15 minutes. Roll out dough finely and cut into squares. Place a large teaspoon of stuffing in the middle. Brush a bit of white egg on two edges. Double to obtain a triangle. 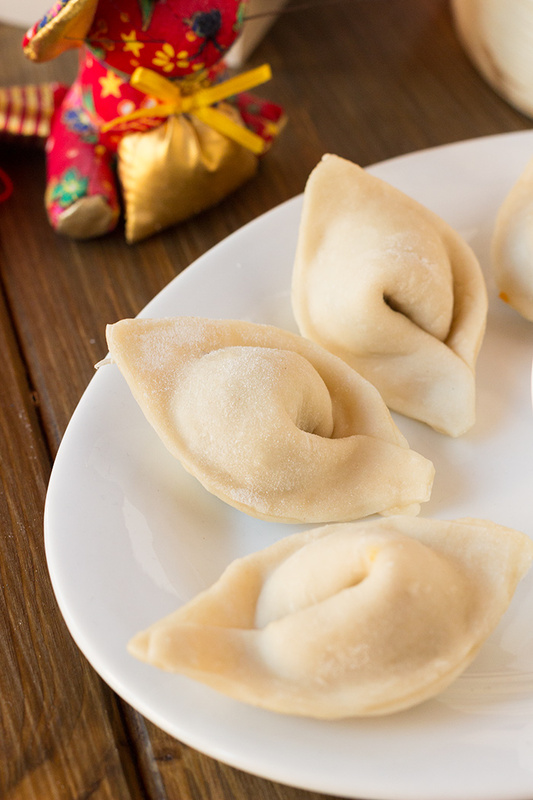 Take the two opposed ends and close your dumpling by pasting them together using a bit of white egg. Go on until nothing left. Mix together soya sauce, rice vinegar and few drops of sesam oil. Fill a large casserole dish with water. Bring to a boil with a pinch of sea salt. Cook dumpling for 2 to 4 minutes or until ready. The cooking time will depend on the thickness of the dough. Thank you very much for reading me. 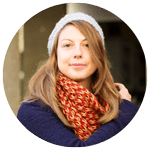 Register to the newsletter or follow me on social media in order to receive the latest recipes of a French girl cuisine. Oh que c’est bien fait! Bravo!